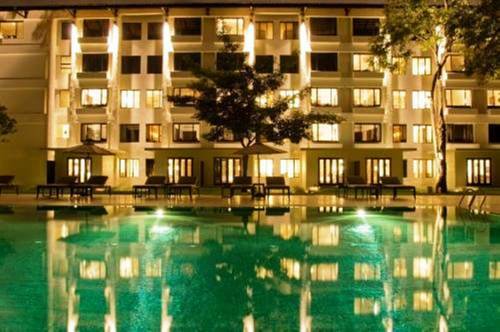 Located within striking distance of Kuala Lumpur is the Saujana Golf and Country Club, which opened in 1986. 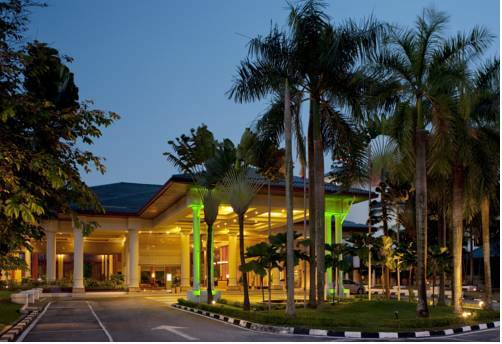 The club became a more peaceful place when the Subang Airport began passing most of its traffic over to the new Kuala Lumpur International in 1998, but as a result the area became much more attractive to homeowners, and the encroachment of housing has repeatedly forced the re-routing of the Bunga Raya course. Ted Parslow did his best to maintain the lines of the first layout when he was brought in essentially to recreate half of the holes, and his work is indistinguishable from the earlier holes. 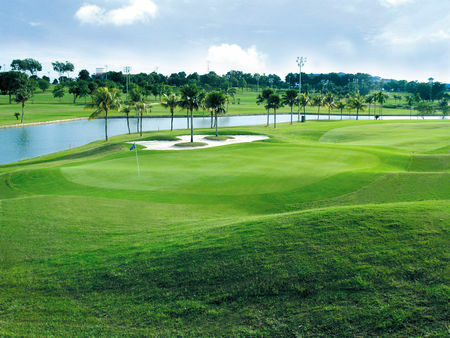 Measuring a modest 6400 yards, the course also offers plenty of teeing options. The fairways are generous, but don't be lulled into losing focus; there could very well be one of the crocodiles that give the course its nickname lurking in a water hazard. 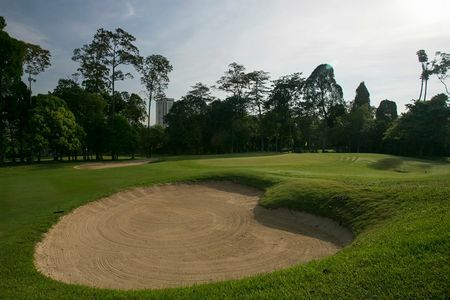 The Palm is one the pair of courses that US architect Ronald Fream laid out for Saujana Golf Club in the mid Eighties, and it right away earned recognition as one of Malaysia's finest. 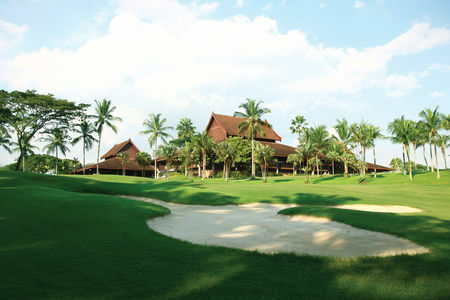 And while the Palm (nicknamed "Cobra" for its sneaky hazards) has been largely protected from the development that has forced its sister-course the Bunga Raya to undergo repeated and major alterations, in fact both courses have been constantly upgraded in the competition for status among Malaysian golf clubs. In 2002 alone, half a dozen greens were replaced and additional trees were planted in anticipation of the World Amateur Championship. 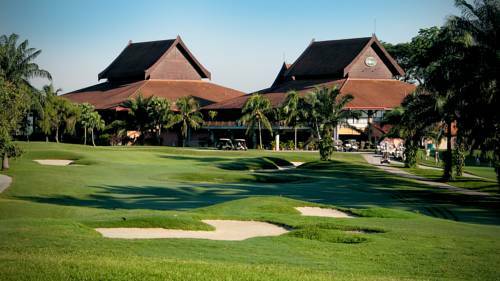 For since it is slightly longer and generally more difficult, the Palm is the layout that gets played when Saujana hosts championships. Of particular note is the 2nd; though measuring a mere 172 yards, it is reputed to be the toughest hole anywhere in the country. 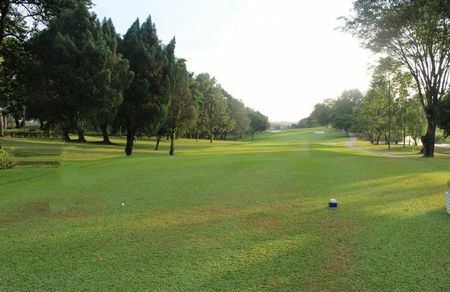 The Palm Course is relatively straight forward but straight driving off the tee will be essential since the tight fairways are heavily lined with palm trees and some tricky hazards throughout. In addition, we are also contending with constantly fluctuating elevation levels as well as some fast and tricky greens. With all that having been said, the course is in fantastic condition and there are definitely low scores to be had!